The retest policy in Frisco ISD does not benefit current students, rather it poses as a detriment to their success in their future college career. When students do not display mastery of a standard, they receive the opportunity to take a retest to raise their overall grade on an assignment. Many students are way too dependent on these retests, thus many student’s grades are heavily inflated. The state of Texas provides a set of standards that a school is required to teach, so if a student does not display mastery on a topic, Frisco ISD allows a second chance at the test through the retest policy. I believe this often teaches kids to take advantage of the policy by not studying the first time for an assignment and often relying on the retest to bring their grade up. Most importantly, retests do not allow students to experience or develop the mindset when presented with personal failure. Students may develop a false sense of security of having a “second chance” thinking in life which is often not the case. When students are allowed to fail, they can learn from their mistakes in a constructive, safe, environment so that they can improve upon themselves in their next opportunities. Retests spoil students as they depend on it to help their current grade, when in reality, it will not benefit them in the future. In my personal experience, I have noticed that teachers advertise these retest opportunities even during the original test day. But when teachers provide time to review in class and ask questions, students take advantage of that opening by not using their time properly. After, when the original test is returned and students are eligible for the retest, many do not attend remediation tutorials or students do not ask to review their mistakes so that they can perform better, thus there is not a significant improvement in the retests. In my experience, many students that are looking for extra points on a grade are students who will not try harder for the second time if they had failed the first time. 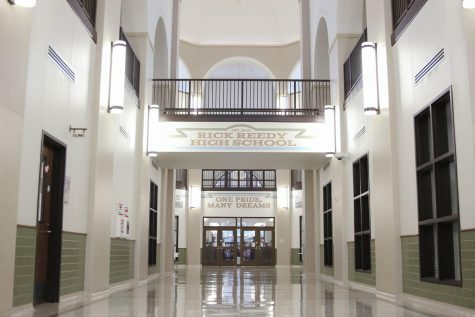 “Students who started eighth grade in 2006 in this region had a college graduation rate of 20.7 percent,” the Texas Tribune states. They also add that in the 2016-2017 school year, “The school received an accountability rating of “met standard,” 17.3 percent of students were considered at risk of dropping out of school.” The United States News & World Report mentions on the rankings of Frisco ISD District that all ten FISD High schools had a graduation rate above 94 percent, however, the college readiness is well below 50 percent with the exception of Liberty High at 57 percent. Possible solutions would be… implementing final exams or requiring test corrections before taking a retest to ensure that they learn from their mistakes. Having a final exam can determine if a student displays mastery in their school subjects because many students believe they just have to pass their current tests but don’t think that they need that information in the long run, so they forget everything they learned afterward. Not only will students prove if they understand the material, but also teachers can figure out what standards need improvement on. Having required test corrections before taking a retest will force students to reflect on their mistakes so that they are better prepared for what they have to review in preparation for the retest. This will make sure students retain what they have learned and know what needs improvement and consequently, a teacher can see if the student has mastered a topic they previously were unsuccessful on. Brilliant. And yet, at the same time disappointing that FISD leadership doesn’t see this. The FISD retest policy is a joke in regards to college preparedness. No college I know allows “retests”. Do they, therefore, not have subject matter mastery as a goal? Do you think your job will give you “redo’s” for every major assignment? This policy teaches students to be lazy and not prepare for the initial test because they can always retest – after seeing what the teacher focuses on in the initial test. The feedback I have heard – the retests are often easier than the original test. Why study for the initial test? You always have the chance to learn the material if you don’t like your initial grade, and with less work. FISD may think they are helping students with this grade inflation, but in the long run, their students are far less prepared for college and the real world. Isn’t it sad (and concerning) that FISD has a college preparedness rating of less than 50%? Maybe the administration should be focusing on that.